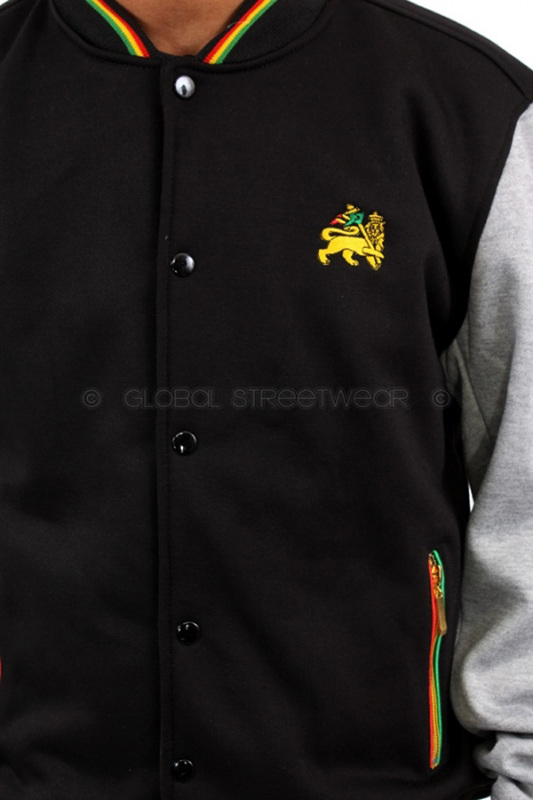 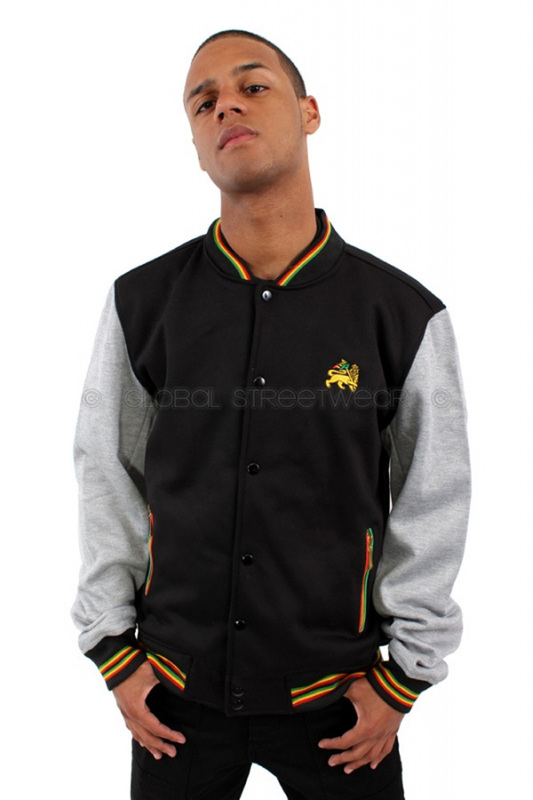 This 'lion of Judah' Embossed Varsity Jacket. 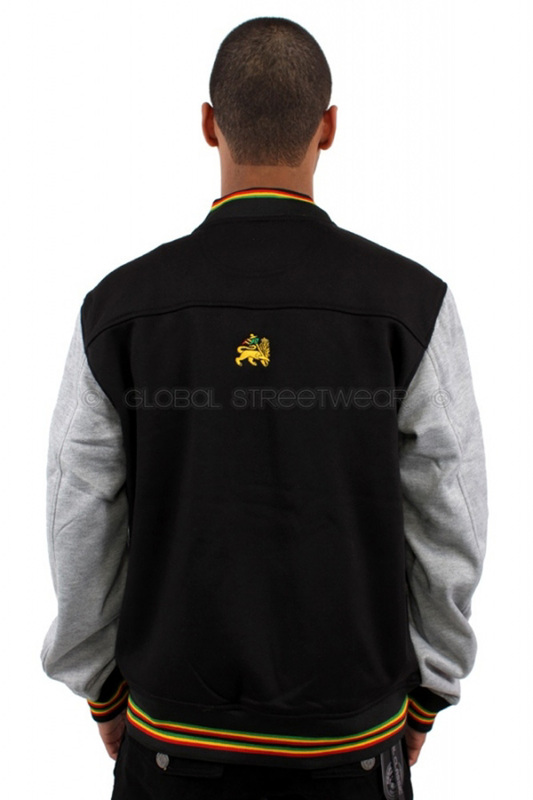 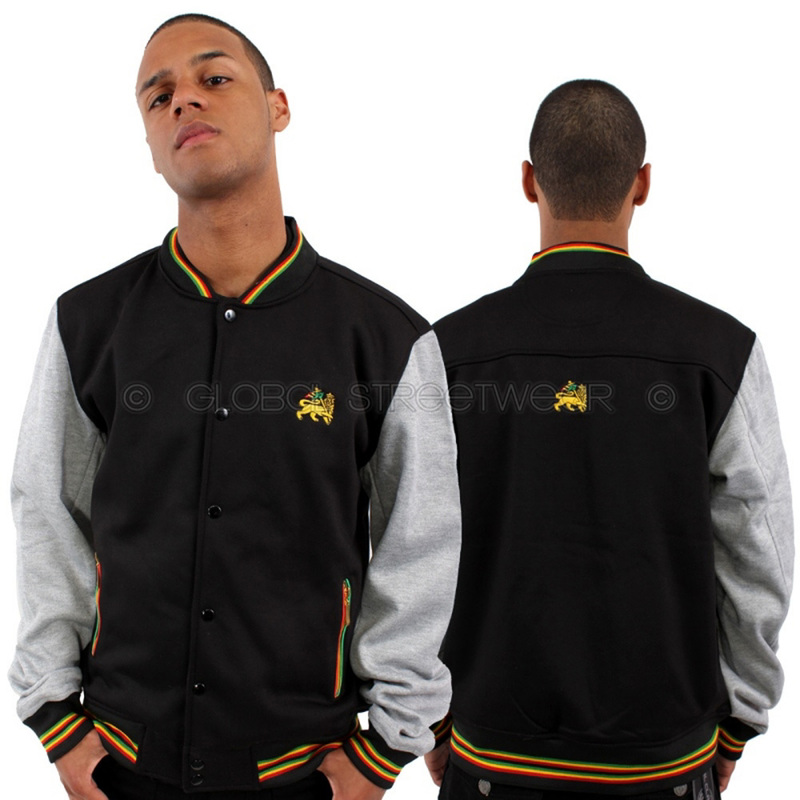 It has the Lion Logo Of Rasta on both front and back. 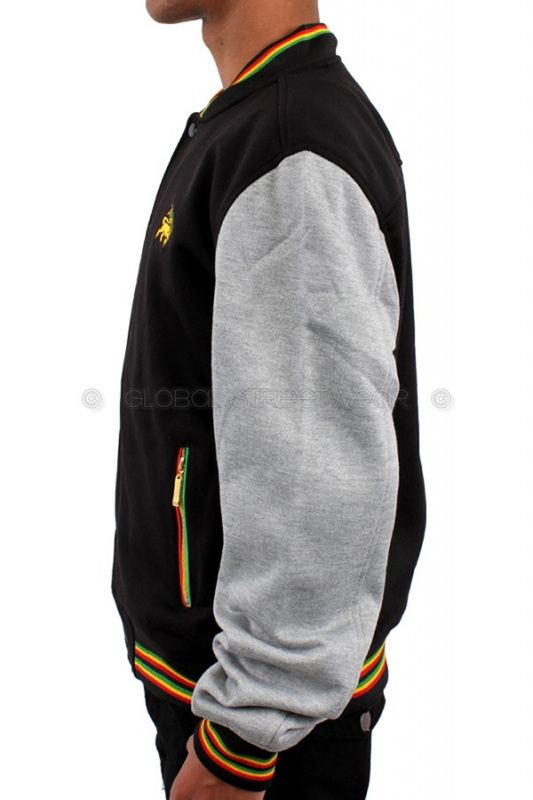 Grey sleeves.